Japan has a 12 hour head start on April Fools’ and they’re already dishing out the laughs. From Google Japan comes the Magic Hand, a new and powerful tool designed to help you use your tablet or mobile device without your fingers getting in the way. A disembodied Mario-like peripheral, the device is made for easy use on the go. 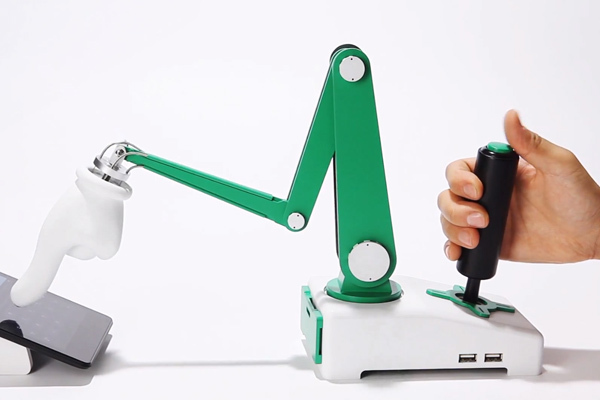 Using a joystick, users can move the hand and tap the screen of their device to help write messages that would otherwise end up making a smudgey mess at the hands of users. Of course, this is all an April Fool’s prank, but the you have to hand it to Google for making an interesting if yet slightly disturbing proof of concept. I’d buy one for the back scratcher attachment, just saying.